Improving regional cooperation in aquatic animal health and welfare. 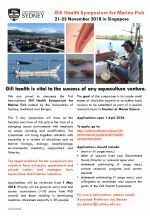 Developing and implementing national strategies on aquatic animal health. Improving surveillance, reporting and response to disease emergencies. Promoting harmonisation of diagnostic procedures and risk assessment. Widespread promotion of better aquatic animal health management practices at the farm level. 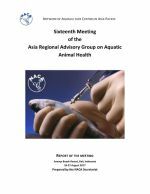 Convening the annual meeting of the Asia Regional Advisory Group on Aquatic Animal Health, coordinating the Quarterly Aquatic Animal Disease Report and bringing regional issues to the attention of global standard setting bodies such as the Office International des Epizooties. Establishment and expansion of a three-tier shared resource in aquatic animal health. 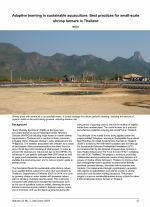 Development of farm-level health management tools for key aquaculture commodities. Supporting regional disease surveillance and reporting. Strengthening aquatic animal health and biosecurity in the region. Facilitating harmonisation in disease diagnostic techniques. Developing resource material in support of diagnosis and surveillance. National Aquatic Animal Health Coordinators and OIE National Focal Points for Aquatic Animals. Health and safety within the global aquaculture industry is widely overlooked – despite the sector posing a great risk to workers, according to University of Stirling-led research. The project found the world’s estimated 18 million aquaculture workers regularly contend with “highly hazardous” conditions and workplace injury and disease risks are high. 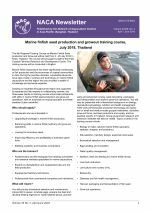 While some aquaculture workers are highly trained and in secure jobs globally, most are from vulnerable populations in precarious work, including women, indigenous people, children, seasonal workers, migrant workers, rural and remote workers. This symposium will focus on the function and form of fish gills in the face of a changing ocean environment with emphasis on ocean warming and acidification. The goal is to create small teams of discipline experts to co-author topic reviews to be submitted as part of a special research topic in Frontiers of Marine Science. Priority will be given to early and mid career researchers and developing country scientists. For more information please download the flyer below or visit the symposium website. 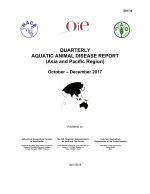 The 76th edition of the Quarterly Aquatic Animal Disease Report contains information from 14 governments. 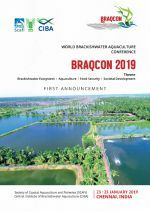 The foreword discusses the outcomes of a Stakeholder Consultation on Progressive Management Pathway to Improve Aquaculture Biosecurity, organised by the Food and Agriculture Organization of the United Nations, Mississippi State University and the World Bank. Since 2009, tilapia aquaculture has been threatened by mass die-offs in Israel and Ecuador, caused by a novel Orthomyxo-like (RNA) virus named Tilapia lake virus. 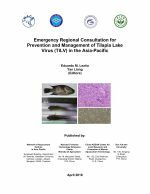 An Emergency Regional Consultation for Prevention and Management of Tilapia Lake Virus in the Asia-Pacific was undertaken in September 2017, China, to discuss and plan actions on the overall prevention and management of the disease, and to prevent its further spread. These are the technical proceedings of the workshop. 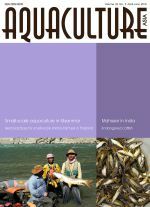 Mahseer in recreational fisheries and ecotourism in India; Small-scale aquaculture of wild fish in Myanmar: A preliminary report from the Bago Region; Current know how and possibility for growout culture of an endangered catfish, Horabagrus brachysoma; Accelerated poverty alleviation of tribal households - cage fish farming by displaced fishers in reservoirs of Jharkhand; Adaptive learning in sustainable aquaculture: Best practices for small-scale shrimp farmers in Thailand; NACA Newsletter. Early mortality syndrome of the type more accurately known as Acute Hepatopancreatic Necrosis Disease is causing major losses in marine shrimp in a number of Asian countries. The disease is associated with infection by a strain of the bacteria Vibrio parahaemolyticus. Here we describe a project to reduce the incidence of disease and improve crop outcomes for small-scale farmers in Thailand via an adaptive learning approach, implemented in association with farmer societies and collectives. 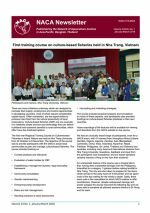 Marine finfish seed production and growout training course, Thailand; global fish passage forum to include first symposium on hydropower and fish; International Workshop on Rehabilitation, Propagation and Conservation of Mahseer, India; World Brackishwater Aquaculture Conference, January 2019, India; Offshore Mariculture Asia 2018, 15-17 May, Singapore; Video lectures: Regional Training Course on Culture-based Fisheries in Inland Waters; Youth and Fish Drawing Competition Art Book; Report of the Sixteenth Meeting of the Asia Regional Advisory Group on Aquatic Animal Health.